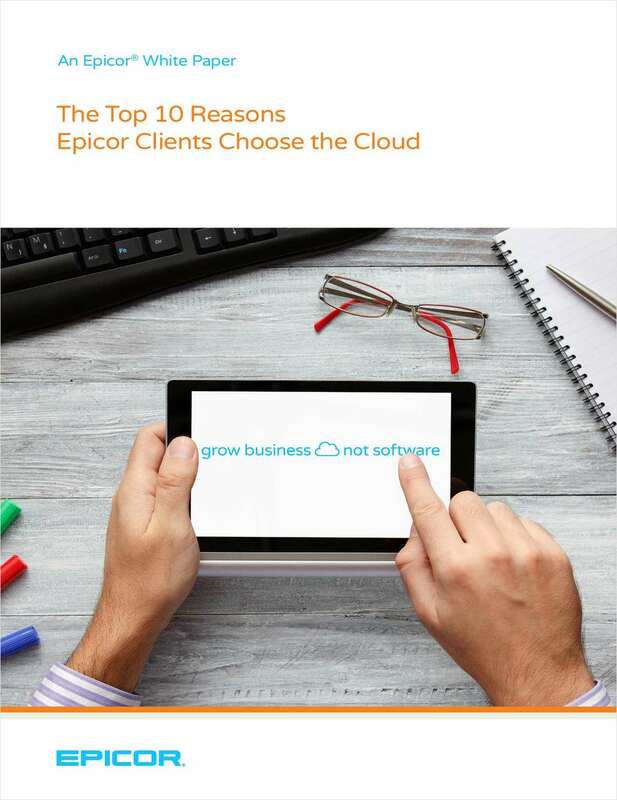 "The Top 10 Reasons Epicor Clients Choose the Cloud"
Free White Paper: "The Top 10 Reasons Epicor Clients Choose the Cloud"
You are moving your ERP to the cloud. At this point, it's no longer an if question--it's just a matter of when. By submitting this content request, I have legitimate interest in the content and agree that Epicor Software (ANZ), their partners, and the creators of any other content I have selected may contact me regarding news, products, and services that may be of interest to me.